After her morning break the female perches below the nest box entrance and the male flies from the nest box. She returned to the eggs after this photo. 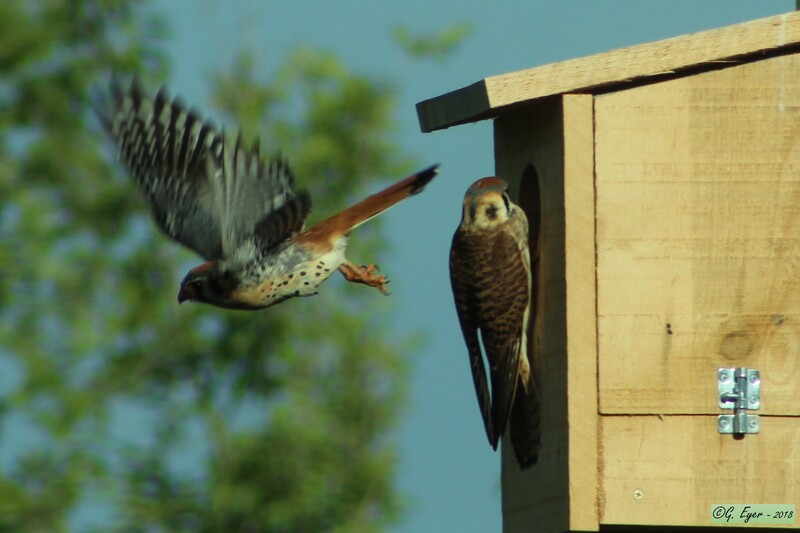 Posted in The Kestrel Collection: photos and art by Sparrowhawk 10 months 3 weeks ago.